The Fair Labor Standards Act entitles you to overtime if you work more than 40 hours per week. There are many exceptions, though, including one for people employed "in a bona fide ... professional capacity." Professionals can work late into the evening and all weekend long and not get overtime. The question raised in this case is whether certain entry-level accounts are entitled to overtime. The learned professionals exemption has three elements: "the work must be (1) 'predominantly intellectual in character, and . . . requir[e] the consistent exercise of discretion and judgment,' (2) in a 'field of science or learning,' which includes accounting; and (3) of a type where 'specialized academic training is a standard prerequisite for entrance into the profession.'" Since the plaintiffs worked in the field of accounting, the second element disfavors their position in this case. What about elements 1 and 3? The Court of Appeals (Leval, Calabresi and Lynch) says those elements also work against the plaintiffs, and they lose this overtime case. 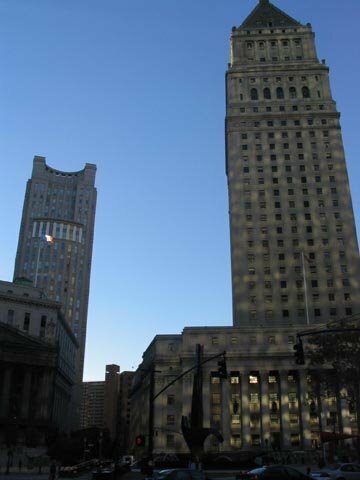 First, while plaintiffs argue that they do not exercise advanced judgment in performing their duties and that their work is merely routine, the Court of Appeals sees it differently: "learned professionals ... particularly those working for firms that provide professional services to other businesses, need not exercise management authority to operate as professionals; what matters is whether they exercise intellectual judgment within the domain of their particular exercise." Framed that way, plaintiffs lose on this issue. Reviewing other Circuit court rulings for guidance, the Second Circuit concludes that "the learned professions exemption applies if workers rely on advanced knowledge of their specialty to exercise discretion and judgment that is characteristic of their field of intellectual endeavor." Plaintiffs’ fundamental error is to confuse being an entry‐level member of a profession with not being a professional at all. Audit Associates are the most junior members of the team, and it is hardly surprising that they do not make high‐level decisions central to KPMG’s business. Yet unlike the administrative worker or executive exemptions to the FLSA, the learned profession exemption does not require that the professional reach conclusions that guide or alter the course of business. The critical question is whether the workers act in a manner that reflects knowledge and requires judgments characteristic of a worker practicing that particular profession. Here, by testing controls, performing inventory reviews, and ultimately replicating the audit process in each work paper, Audit Associates clearly did so by engaging with the audit process in a critical manner. Finally, plaintiffs lose because they require a prolonged course of specialized intellectual instruction. Since the Court finds that the accountants exercise judgment and discretion in performing their work, the only way their can further show they are not "learned professionals" is if they "gain the necessary knowledge to act as accountants through a one-week introductory training course, followed by on-the-job training." But that won't fly. "An examination of the training materials in the record makes sufficiently plain that the average classics or biochemistry major could not understand the materials, or develop the requisite understanding of the audit function, on the basis of a brief training period."